ZEC held ongoing consultative meetings with political parties aimed at promoting open communication with parties on the electoral process. During these meetings the parties were briefed on progress made on the BVR exercise and on the data consolidation and voters roll compilation processes. May 2018 dialogue with political parties supported. EISA Zimbabwe provided support to two ZEC political parties meetings held on 8 May 2018 and 28 May 2018 respectively. During these meetings the parties were briefed on the framework of the data consolidation and voters` roll compilation processes post registration, upcoming voter roll inspection exercise as well as provisional 2018 election roadmap. Political parties used these meetings to make inputs into the process and raise concerns with ZEC where applicable. For instance, political parties were apprehensive about the printing of ballot papers and they requested ZEC to be transparent in the procurement processes and that ZEC should disclose the company awarded the printing tender so as to build confidence. During a meeting held on 13 December 2017 at which 72 political party representatives attended, of whom 12 were women, ZEC informed the parties of its decision to extend the BVR blitz to February 2018. This was to comply with a High Court ruling of 19 November 2017 ordering the inclusion of people classified as "aliens", who had been excluded since the launch of the registration process. The extension was also meant to accommodate citizens who were yet to be issued with national identity documents by the Office of the Registrar General. The parties have used these meeting to provide feedback on their observations made during the BVR process and have proffered solutions to identified challenges. EISA supported the Zimbabwe Electoral Commission (ZEC) in conveninga High Level meeting for political parties and the media as part of EISA's broader support to ZEC on electoral stakeholder engagements in preparation of 2018 harmonised elections. Thirty six partciapnts, 12 of whom were women, attended the meeting. The objective of this meeting was to provide an update on the electoral processes generally. More specifically, ZEC appraised participants on voter registration in terms of procurement of the Biometric Voter Registration kits; voter registration regulations; the voter registration plan including the distribution of BVR kits and the data transmission process after voter registration. The meeting was also attended by Editors in Chief from the the Herald, Newsday, Daily News, Zimbabwe Union of Journalists as well as representatives of the Broadcasting Authority of Zimbabwe (BAZ). 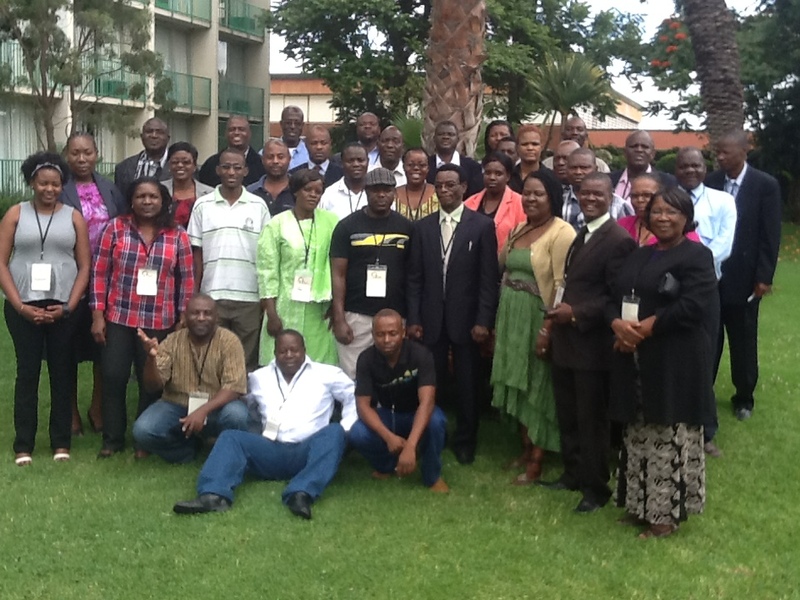 EISA held its 8th Annual Continental Symposium on the theme "Understanding the Causes and Consequences of Political Party Alliances and Coalitions in Africa" at the Hilton Hotel, in Sandton, South Africa from the 26th-27th of September 2013. 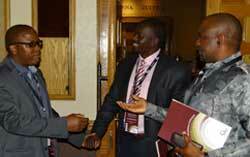 The Symposium was officially opened by the Right Honourable Raila Odinga, former Prime Minister of Kenya. Attended by ruling and opposition parties from all the African Sub-regions, this continental political parties jamboree provided a platform for political parties to share their experiences and explore the causes of pre-election alliances of political parties and party coalitions following an election, and exploring the effects of these alliances and coalitions on variables such as party systems, democratic consolidation, state governability and national cohesion in selected African countries. Symposium proceedings were enriched by academic presentations from across Africa, Europe, India, and South America. The Zimbabwe African National Patriotic Front (ZANU-PF), Movement for Democratic Change (MDC) and Movement for Democratic Change-T (MDC-T) were among the participating parties. The three parties shared their experiences with regard to power sharing (in terms of achievements and challenges). Their insightful presentation was well received by all the participants who could not stop marvelling at the professionalism and expertise displayed by Zimbabwean political leaders-something that is worthy of exporting to the continent at large. Following a successful referendum hailed as free and fair by local and international observers, the Zimbabwe Electoral Commission (ZEC) held a consultative meeting with leaders of all the political parties in Zimbabwe on 22nd April 2013. This was also the first formal meeting with political parties for the new ZEC Chairperson Hon. Justice Rita Makarau who was appointed to this position in March 2013. The purpose of the meeting was to allow parties to raise any concerns they had as the country prepares for the elections and, to jointly explore solutions with ZEC on some of the challenges pertaining to the electoral process. A total of 18 out of the 25 political parties were in attendance. The meeting looked into three broad areas namely, the registration of voters, the voters roll and accreditation of observers. These were areas which were tabled before ZEC by political parties as their major concerns. There were, as would be expected other issues which came up during the meeting. These were and not limited to: voting procedures, party funding, selection of Polling Officers and announcement of election results. For its part, ZEC took the opportunity of the meeting to brief political parties on electoral reforms particularly with reference to the electoral system. On voter registration, the parties' recommendations were that this function should be transferred from the Registrar General of Voters (RGV) to ZEC as they feel that voter registration is an elections function and that ZEC is constitutionally mandated to manage elections. The parties also indicated that the registration process is not smooth and places too much burden on the prospective voters to prove their residence despite that it is practically difficult for many residents to get this proof. The parties also indicated that the voters roll needed to be cleaned ahead of the elections. They complained that they are unable to help clean the voters roll because it is overly expensive for them to purchase the voters roll, whose current price was pegged at US$ 30,000 per national copy. On observation, parties pointed out that the current Accreditation Committee was not politically inclusive (during this transitional period) and that it is dominated by the executive. They therefore suggested this should be looked into to ensure inclusivity but said that on a long term, ZEC should be solely responsible for accreditation. They also recommended to ZEC to consider creating at least accreditation centres in each province so that individuals do not have to travel long distances to apply to observe elections. Some parties also suggested that nomination and accreditation fees should be waived for political parties that do not receive financial support from the state. The meeting was very constructive and contributed to the improvement of relations between ZEC and political parties as key stakeholders in the electoral process. ZEC assured the parties that it was going to pay attention to each of the points they raised and will provide an update on progress made during the next meeting to be held in the near future. 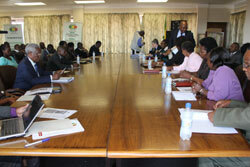 Two senior members of the Zimbabwean Electoral Commission (ZEC) were also invited to participate. 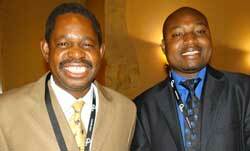 As a norm in Zimbabwe, two staff members from the President's Office also attended the workshop. While the individual participant's capacity and understanding of the issues around the internal organisation of political parties was enhance, the added benefit to all parties was the opportunity to interact with their counterparts and share views on issues which affect parties in Zimbabwe irrespective of the party colours. Thus, this workshop has directly contributed to the improvement of interparty relations in Zimbabwe at a critical time when the country is preparing for elections. 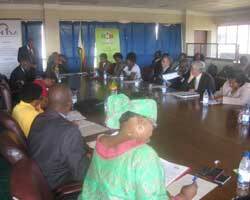 The workshop was organized under the auspices of the EISA SADC region political parties program. 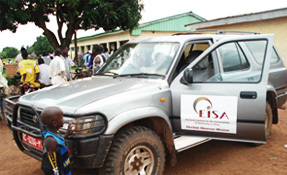 Training was conducted by the Zimbabwe EISA Country Director, Dr. Victor Shale and the Programme Assistant from the EISA Head Office, Ms. Funanani Nemaheni. Both have co-authored the training manual which was used for the workshop. Recognising the need for inclusivity in engaging political parties in preparation for the referendum and elections, ZEC reached out to 23 political parties during this review period inviting them to a consultative workshop. The workshop provided a platform for constructive engagement between ZEC and political parties on the electoral process. The political parties were also able to meet and to engage each other on topics of common interest. The importance of this event was the inclusion of smaller parties who appreciated the recognition that they too have a role to play in the constitutional and electoral process. ZEC used this opportunity to share information about their mandate, role and function as an election body as well as provide factual information on the electoral process. An important outcome of this consultative workshop was the review by participants of the existing code of conduct for political parties contained in the current electoral law.